Jeffery David Kirby will serve 9 years for killing TapouT founder Charles "The Mask" Lewis. On the early morning of March 11, 2009, Jeffery Kirby who was drunk on alcohol, was racing his 1977 Porsche on Jamboree Road at speeds of 100 mph when his lost control and wrecked in to Charles Lewis and his girlfriend, Lacy Lynn White. Lewis's Ferrari was forced in to a lamp post where it split in half killing him instantly. Lacy survived the wreck, but suffered serious injuries. Kirby did not immediately stop after the crash. He continued to drive for a short distance, pulling over to the side of the road further down from the wreck. Police spotted Kirby's Porsche and noticed he was slurring his speech, then arrested him. Kirby has two prior convictions for drinking and driving. Charles Lewis started TapouT by selling t-shirts he made and designed from the back of his car at MMA events. TapouT is now a multi-million dollar company. 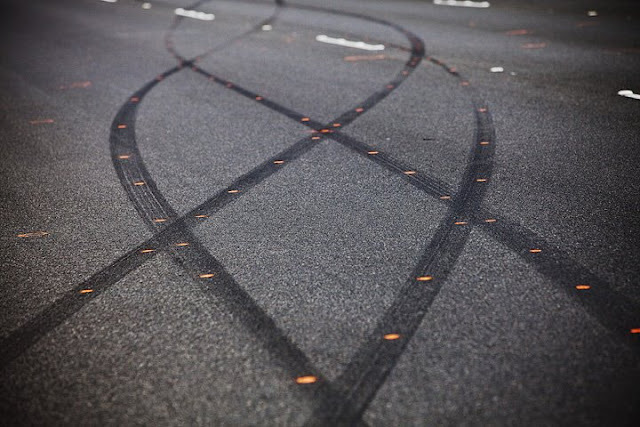 Skid marks from the crash scene.